Stocks surged 7.1% with the S&P 500 advancing by the most since Oct. 28 after U.S. Treasury Secretary Geithner’s toxic-asset plan jolted Wall Street. The sharp move ushered in the largest 10-day gain since 1938. Geithner’s plan will use $1 trillion to incentivize private investors to purchase many illiquid assets including mortgage securities and agency debt. The deal will employ 10% of this money to work as a taxpayer subsidy to many of these investors while also providing government guarantees in case the securities continue to falter. Not surpassingly, financials in the blue-chip index bulled-ahead 22.91%, marking a 50.1% advance in the sector over the last two weeks. JPMorgan and Wells Fargo performed the strongest gaining on average of 24% with Citigroup seeing its shares traded the most of any company in the index. But this rally may be short-lived. If the real economy continues to falter, the consumption habits of the public may continue to be dwarfed, disabling much wealth creation that would truly enlighten the banking sector. Financials in the blue-chip index rose surged 22.91%, led by JPMorgan’s 25% move. Industrials were the second-best performing sector with Caterpillar advancing 9.46%. Information Technology advanced 6.38% with leading names such as Microsoft and Cisco jumping 7.44% and 6.73%, respectively. Sun Microsystems was one of the few stocks that slipped, as investors took some of the profits earned from the IBM take-over news. Consumer Staples was the worst performing sector in the Standard and Poor’s index, managing to gain a still impressive 3.77%. Only seven stocks slipped on the day. Implied volatility on the index fell 2.66 points, or 5.8%. U.S. Treasury Secretary is currently speaking at a conference in Washington where is offering his first words since word of his $1 trillion toxic asset relief program was leaked over the weekend. Within the last 30 minutes, the 47-year-old has stated that the economic crisis won’t end until the market takes on more risk. Despite the lack of risk-appetite seen in markets, he does see “hope” in corporate finance. Today, the S&P 500 surged 7.1%, advancing 20% over the last two-weeks. This, however, does not indicate that the economy has been revived. 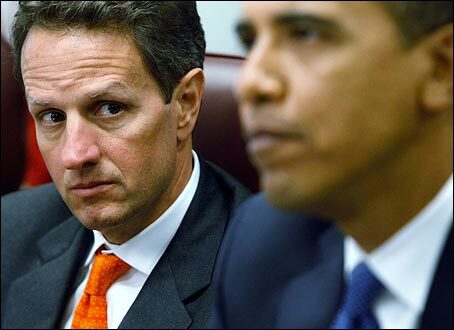 After all “one day does not make a plan,” Geithner noted. 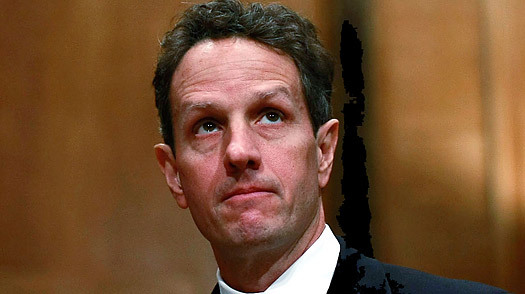 But should markets come crashing down and see the economy slip further, Geithner will be willing to work with Congress if additional money is needed. “The world is watching us” to stabilize the system, he said. Interestingly, the European Central Bank President, Jean-Claude Trichet, seemed to express the opposite sentiment about his jurisdiction. In an interview with the Wall Street Journal yesterday, the central bank chief stated that Europe does not need a fiscal stimulus to save itself from the global recession. The statement came just days after ThyssenKrupp, Germany’s largest steel-maker, announced it would be laying off 3000 jobs, the first of such lay-offs among the major companies in the region.